Download Beer Bottle Mockup PSD. Use this beer bottle mcokup if you want showcase your beer bottle label design in photorealistic way and give it a great look. This beer bottle mockup is useful for presenting your label design in a professional way and it is really helpful if you want to impress your clients. 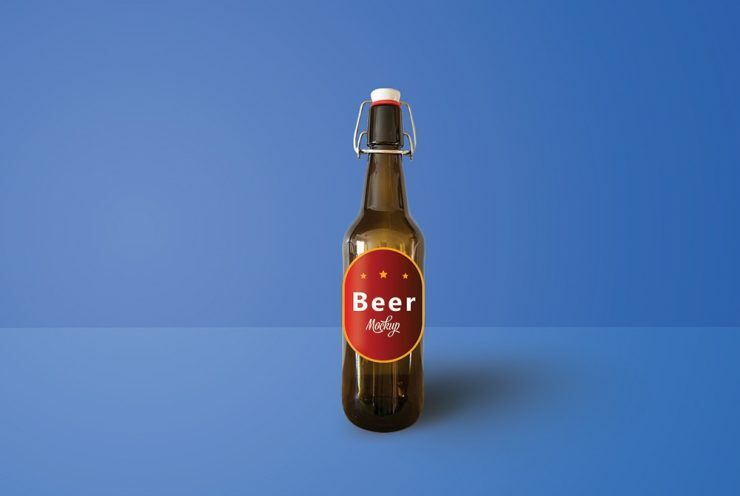 This Beer Bottle Mockup PSD makes your work easier and it uses smart objects. By changing the content of smart object with your label design you will get your desired result in few clicks. Apart from changing the beer bottle label design you can also change the background color easily to match with your label design. Hope you like this Beer Bottle Mockup. Enjoy!